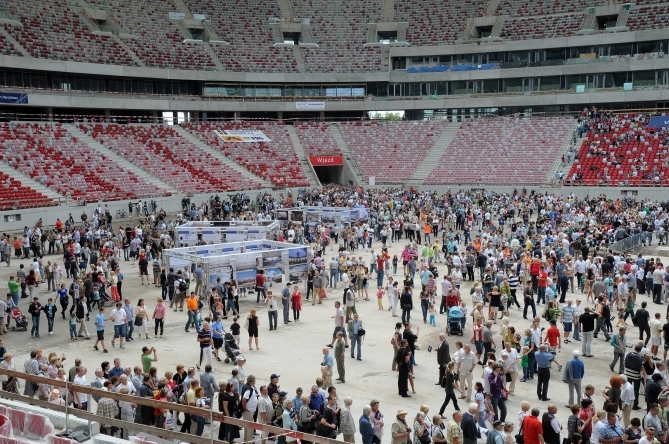 A great interest concerning the first open day at the National Stadium in Warsaw makes the National Sports Centre invite all those who are interested again. The stadium will be ready in all September Sundays. 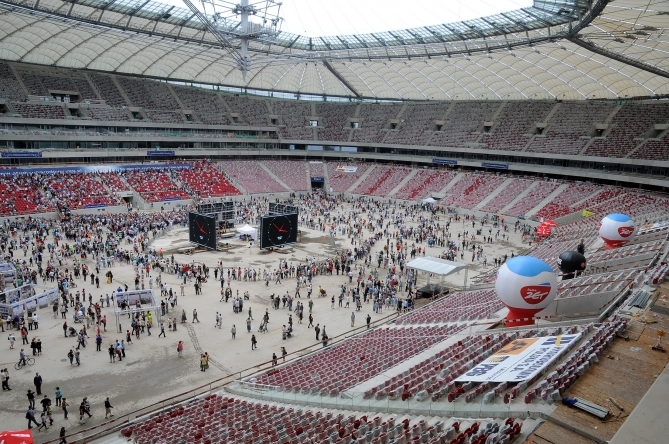 For all of those who in last Sunday did not reach the National Stadium in Warsaw, and for those who would like to see the stadium again, we have good news. 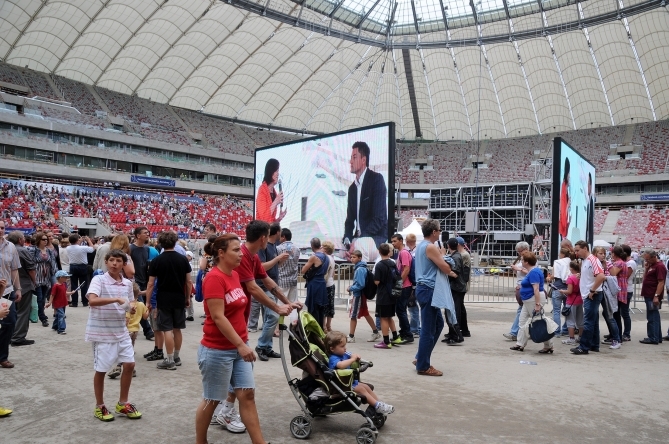 A Sunday Walk on the Stadium is the beginning of the cycle of open days which will be held every September Sunday – informed Daria Kulińska, a spokeswoman of National Sports Centre. 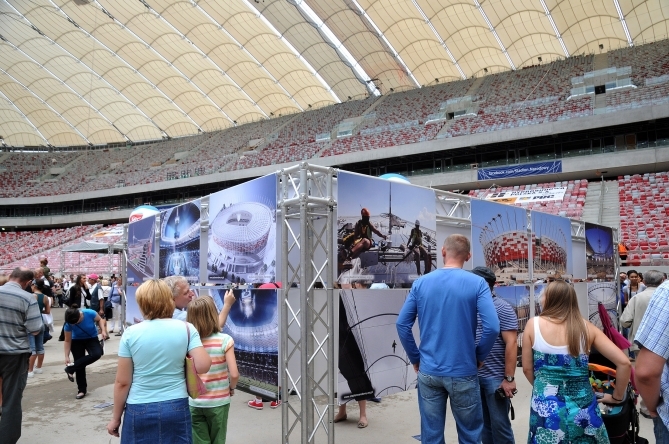 National Sports Centre will provide detailed information on the terms and rules for visitors in coming days. It also encouraged to keep track of the progress of works at the stadium on the website of NSC. 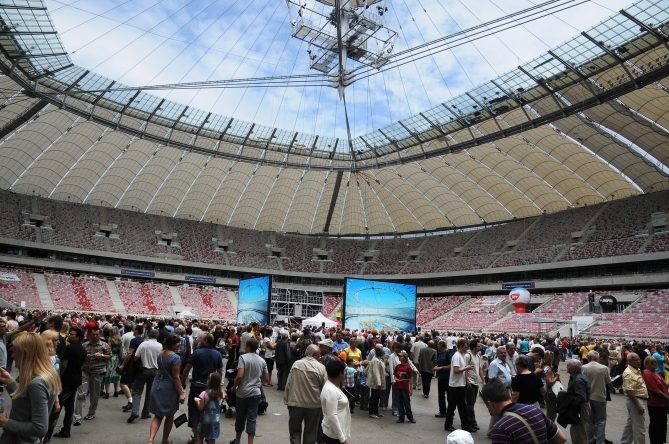 75 thousand visitors – it’s just the beginning! 75 thousand! 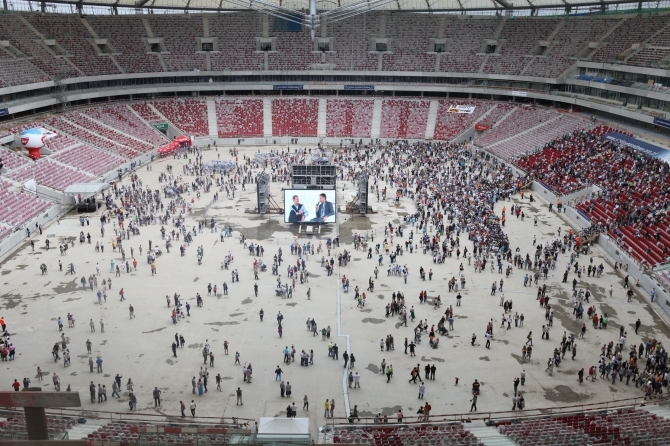 This number of people took the Sunday Walk around the National Stadium in Warsaw on 24 July 2011. 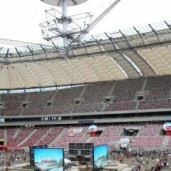 Due to the great numbers of visitors, the Stadium gates were opened several minutes prior to the designated time. 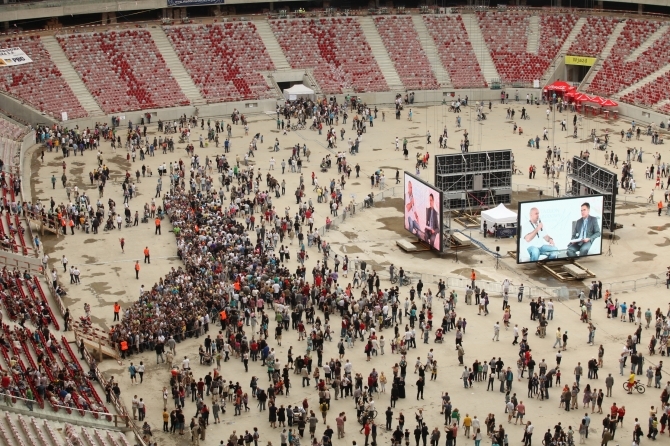 From that moment on until 6:00 PM, on average 9 thousand people per hour kept coming to the Stadium. Could you kindly send me some photographs of the new National Stadium for an article that I am preparing for our magazine WORLD CEMENT…or some photographs from the Sunday Walk, 24 July 2011. 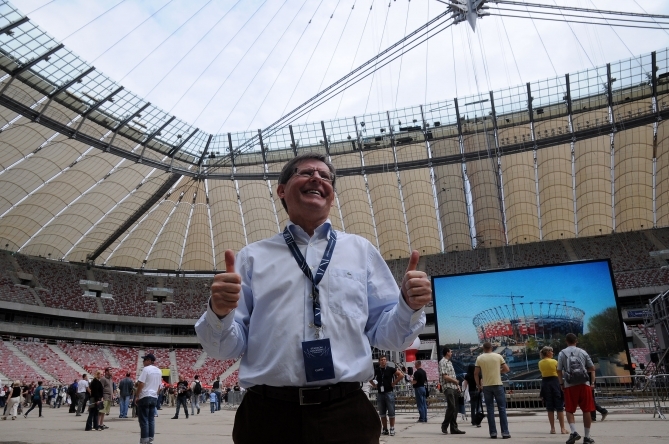 Could you please send me some photographs of the National Stadium in Warsaw for an article about Poland that I am writing for our magazine WORLD CEMENT.